It’s been forever. I know. I’m approaching my 27th birthday and excited for my 28th year on earth. True story: my 27th year was pretty amazing. I am going to recap, as I am going to try harder to blog more often. I’ve been writing in my journal at night when I can’t sleep, so I will share some of my thoughts with you from those pages, as well. But first, the mass update. 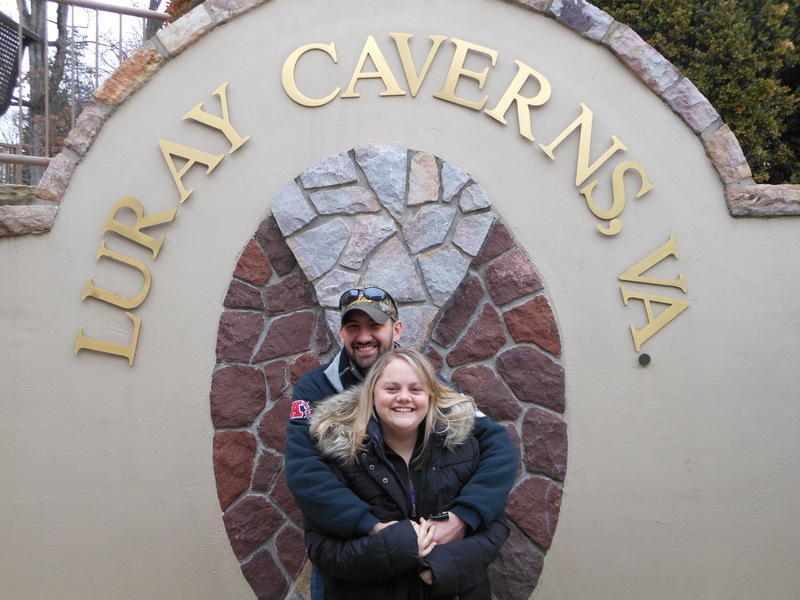 In February we took a weekend trip to Luray Caverns. We stayed a the Mimslyn Inn and visited the caverns and the museums, and finished off the weekend at the Caps vs. Pens game. 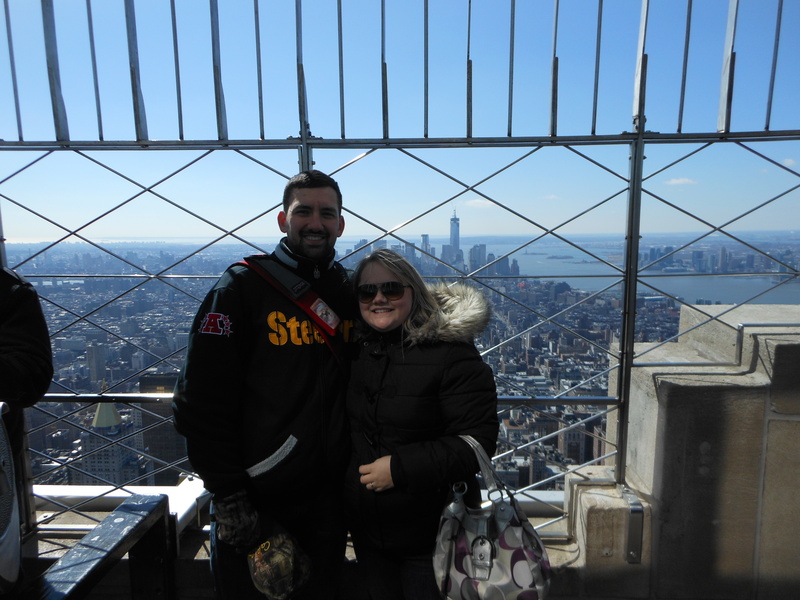 In March we went to NYC. We saw Chicago and Wicked. We visited Times Square, walked across the Brooklyn Bridge, ate Ray’s Famous Pizza (not sure how famous it really was, but it was tasty, so, that’s good)! We tried new restaurants, 44 1/2, Penelope’s, The Meatball Shop, The Shake Shack (which we apparently have in DC, so we’ll be looking for it)! All-in-all, it was a wonderful trip with my wonderful husband and I will remember it forever. In April Bill was promoted to Management Trainee, overnight. He loves it and we are able to see each other so much more often. Also in April, my boss from WRX, where I was contracted most of last year, called and said he finally had a full-time, permanent position available and he thought of me. Did I want it? Well, I was having THE WORST time at my old job. I was unhappy with my boss, I was unhappy with my boss’ boss. I was unhappy with my 1.5 hour commute each day, each way. I said, “of course!” I interviewed and was offered the job in just three weeks. OPNET/Riverbed tried to get me to stay, but I told them there was nothing they could do, so they let me go without a fuss. I got a nice pay increase and I LOVE my boss, my office, my commute and what I’m doing. Never a dull moment. And I’m still at Wegmans (will be getting my 9-year name tag in about a week). Lots of babies were born between March-May….sister-in-law Kimmi had baby Allie…bestie Erin had baby Annakay (more below). In May I started my new (old) job. We spent a lot of time with our friends Blaise and Matt and their new baby girl, Gianna. We went to see The Band Perry in concert and it was AWESOME. I had to make time to spend with my girl, Temi, from OPNET/Riverbed. She took a new job back home in Nigeria and moved in June. It was a very sad time, we became quite close (even road-tripped to Atlanta for a coworker/friend’s wedding in April) and I miss her and her shenanigans very much. 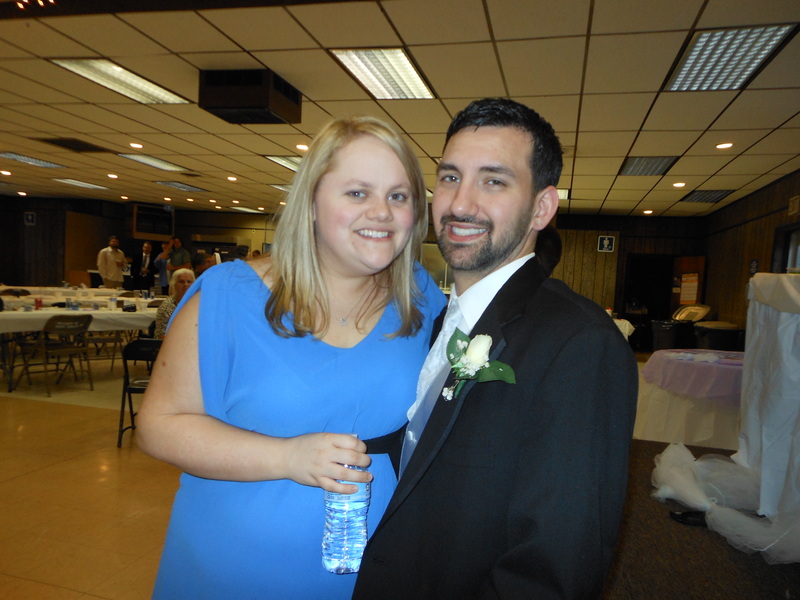 In June, we went to Butler and celebrated Bill’s brother’s wedding. He married Ashley, his girlfriend of MANY years, and they have two lovely children together (and are expecting their third in April 2014. In addition to that, Liz and Kendall had baby number two, Mr. Emerson David, and he is so sweet. I met him via Skype, and Cora and I talked about dogs and cups (I think). In July, I got to go home for the 4th, plus I was able to celebrate my best friend’s upcoming marriage — her bachelorette party at the end of the month. We also got to go to a Pirates game at the Nationals Stadium with Jackie and Stephen. It was SO great. This month we also ended up signing our lease for 14 more months. There are so many options as to what we will actually do…move home, move to somewhere else (maybe State College? ), buy a house in Fairfax, buy a house outside of Fairfax where it’s a bit cheaper…we will just have to see. This month, we went home to celebrate my Aunt Penny’s marriage to Doug. She lives in Chicago now. We also went to a Pirates baseball game in Pittsburgh on the way home. The Pirates lost after 16 innings but we did have a lot of fun! And you know, the Pirates are probably going to have their first winning season in 20 years…so it’s worth it to be there! Bill got an autograph from Sanchez, on his SI magazine (Pirate on the cover). 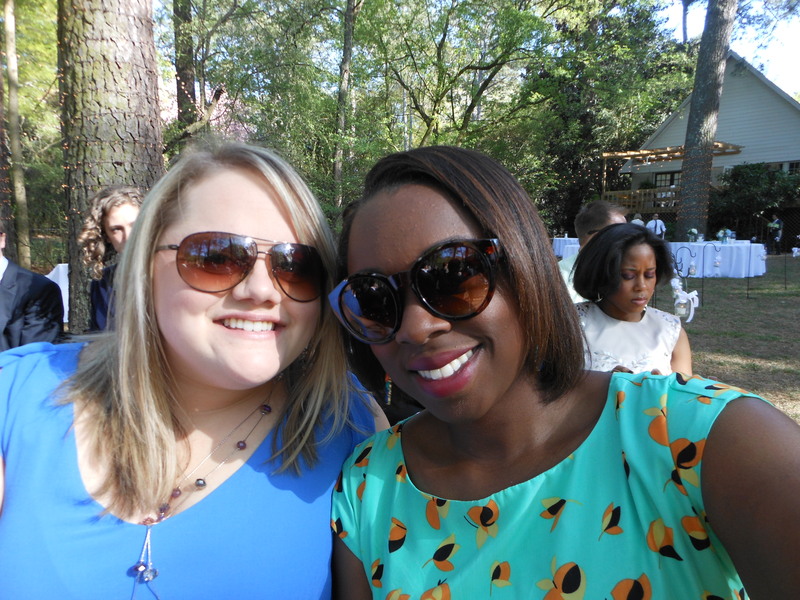 Also this month, I was able to go home for Noelle’s bridal shower, which was just last weekend. My mom and I took her out for some drinks and dinner and gave her some…lingerie! It was very fun and she shower was also nice. Friday is my birthday party. It’s also a bittersweet time for me. I miss Grampa more around this time of year than ever. Sometimes I’m afraid I’m losing my memories of him, but I still have pictures and home videos, so I like to turn to those when I get sad. I’ll never forget how tightly he would squeeze me as everyone sang Happy Birthday to us. I won’t forget how we always blew out the candles together and how much easier it is to do with two people. I loved how loud (and out of key) he would sing, and how he would sing my name. And I loved how I sang it right back. Special times. And through all of this…we are not yet expecting our little miracle. But, we are hopeful. And we know it will happen when the time is right. Here’s to another year, a happy life, and wonderful husband, great family, lovely friends and a satisfying job!